I was introduced as “Aunt Ilze” by Baiba, my new niece. 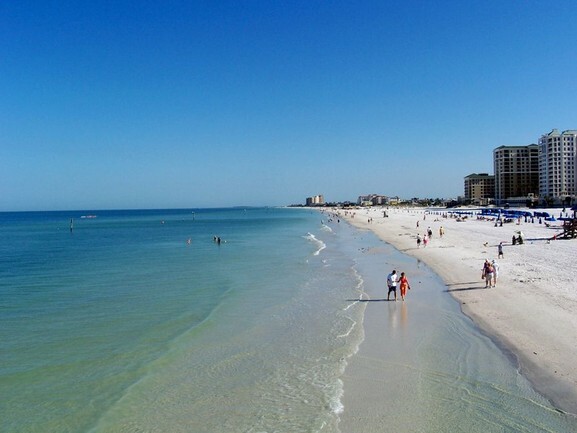 We met at Frenchie’s Bar and Grill at Clearwater Beach in Florida where my husband and I had taken a brief vacation from the cruelest, most endless winter in decades. Aside from walking on the beach and playing tennis, meeting up with relatives was a must. As I hobbled to my seat (I had dislocated my knee playing tennis and was wearing an ugly black brace) I was struck by the sheer glamour of my new niece. Bling at Frenchie’s where most were in tank tops and cut-off jeans! I couldn’t help but notice a huge diamond on her ring finger and a stunning tennis bracelet hugging her expensive watch. The manager hustled around our table since Baiba and her husband had arrived by boat which was docked at Frenchie’s Marina. Baiba ordered seaweed and black coffee. I ordered rum runners and the best fish dish and then another rum runner, getting the vibe that Baiba’s husband was the host (not that we couldn’t afford it). Of course I felt like an old scrag sitting next to the young (thirty-something) beauty. And Baiba was truly beautiful. Perfect teeth (veneers? ), lovely honey-coloured skin, mesmerizing beautifully made-up eyes, subtly highlighted shoulder length hair. Her husband was older (not much: ten years perhaps) but very nice. Her step son was polite and Baiba and hubby’s own little girl was shy and adorable. As we all got up to leave I couldn’t help noticing how very petite Baiba was. Like a doll. Her husband and step son took the boat to their yacht club. We drove to the club in our rented car, Baiba giving directions. Well—Tom Wolfe could have written about this club so much better than I, so I’ll just abbreviate. All white, (blacks served drinks around the pool) endless air kissing and fawning by the bikini clad ultra- toned friends to whom I was “Aunt Ilze” (in the knee brace). I was amazed by the manner in which Baiba navigated this ultra-casual, bikini clad and moneyed crowd. She knew what to say and the crowd liked the way she said it. They seemed to be enchanted by her tiny little body, her eagerness to please and her very slight European accent. This is a success story. In her early twenties, Baiba escaped Purvciems and a dreary life in Latvia to travel to “Amerika.” She started out as an au pair (babysitter) ostensibly to learn English, but soon met a nice older man. And married him. Baiba is a smart girl and I like her very much. She respects her husband and he, in turn, worships his pretty wife. Just a note: Baiba works hard alongside her husband to be able to afford the Mercedes, the boat, the yacht club and their house. Not everyone can do this. It takes beauty, charisma,character and willpower. The character to want it and the willpower to work for it. Because it does take hard work. And without beauty or charisma not a chance. Frank. “Without beauty or charisma, not a chance.” This is a bit cynical. What about intelligence and sincerity? But I guess you’re a guy and you’re into beauty and charisma. What happens when beauty fades, as it does, alas and charisma is only a heart beat away from flat line? What then? Search for newer, younger, beauty? When beauty and charisma fade, intelligence and sincerity take over!